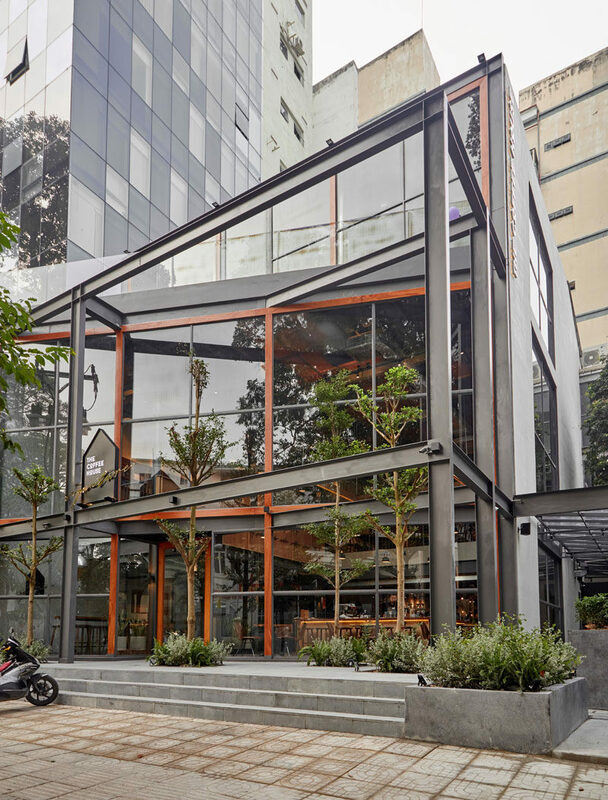 Bo Design & Construction have recently completed The Coffee House Signature, the flagship store of The Coffee House, one of the most popular coffee chains in Vietnam. 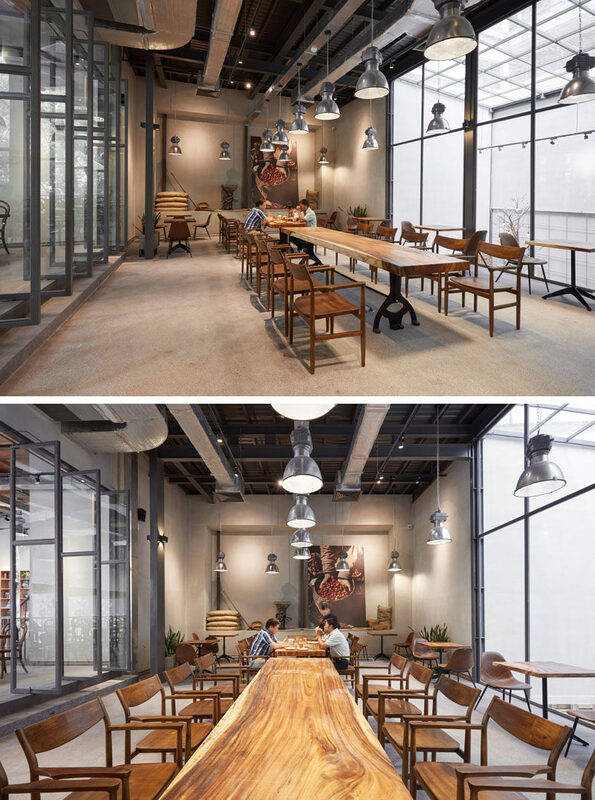 A large wall of windows floods the interior of the coffee shop with natural light and seating positioned next to the windows provides customers with street views. 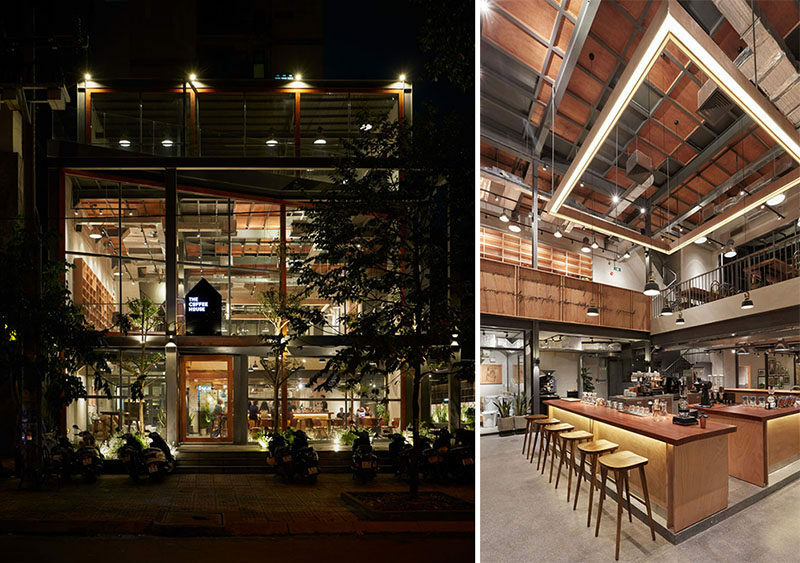 A service area and coffee bar are positioned in the center of the room, allowing people to see the employees making their drinks. 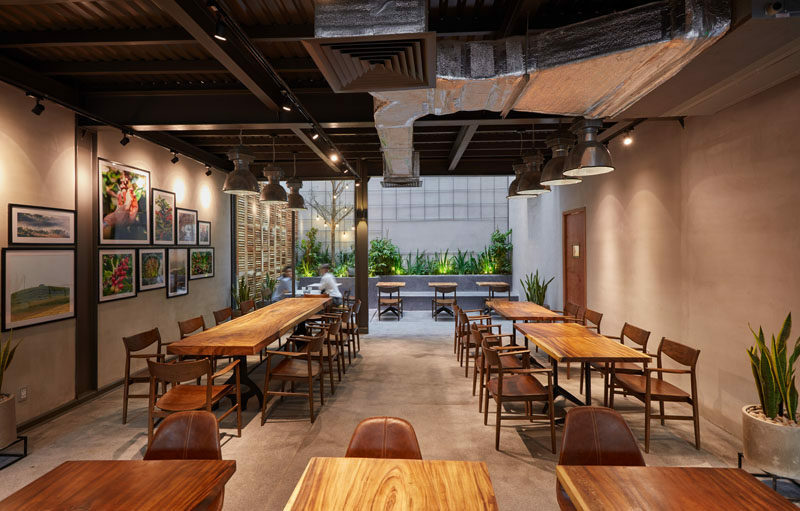 Behind the service area is seating that has access to a small garden at the back of the coffee shop with patio seating. 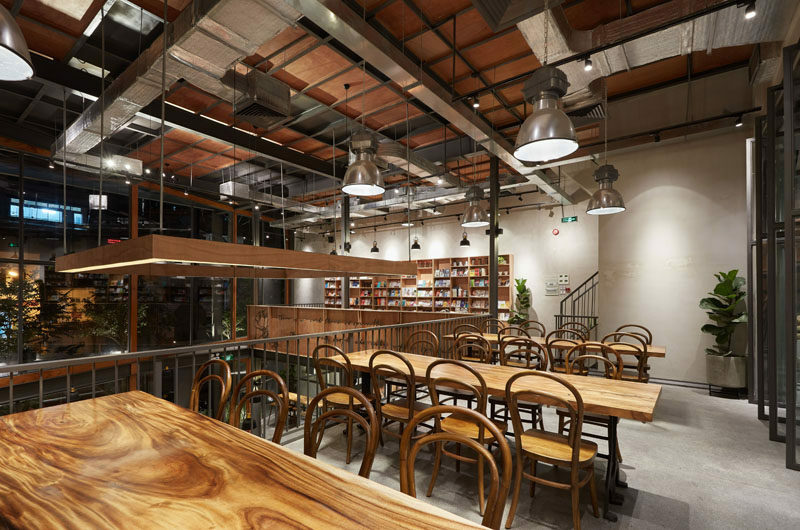 Due to the height of the ceiling of coffee shop, they were able to have a second level of seating that’s accessed via stairs alongside one wall. At the top of the stairs is a an area with communal tables, that can be used as a co-working space. Also upstairs is a space set up for larger groups of people with a long 10 person table. Natural light from skylights above the garden filter through the black framed windows, that also provide a view of the garden below.